Diabetes is a chronic and life-threatening disease that affects the body’s ability to produce insulin and properly manage glucose levels in the blood and cells. Insulin is a hormone that regulates metabolic substrate utilization and promotes the cellular uptake and conversion of sugars and starches into biochemical energy. The cause of diabetes is not fully understood, although genetics and environmental factors such as obesity and physical inactivity appear to play roles. If left untreated, diabetes can result in organ damage involving the nervous system, kidneys, eyes, immune system, and cardiovascular system. Ninety to ninety-five percent of diabetics have type 2 (T2DM), a condition in which cells fail to respond. 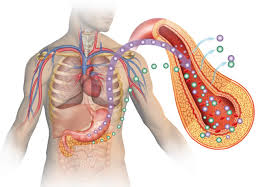 Five to ten percent of diabetics have type 1 diabetes, which is a state of absolute insulin deficiency stemming from autoimmune destruction of the insulin-producing beta-cells in the pancreas.